I don’t know about you, but I’m really anxious to decorate for Christmas! That’s nothing new for me! Usually mid October I get the itch to decorate a Christmas tree! I know it’s traditional to wait until after Thanksgiving to decorate, but the blogging biz is a little different. Many of my home decor blogging friends have already shared Holiday home tours! I’m definitely not ready for that. But, I do see the benefit of blogger’s sharing their decor earlier. We do what we do to inspire others. So, it only makes sense that we should get our decor up and shown earlier. I love it because it gives me a deadline – otherwise, I would keep tweaking and adding things until Christmas day! This year my goal is to have my halls decked by the end of November. Before I get started, I like to make sure I have a clean home. I usually take a day to bring out the cleaning supplies and go room by room through the house. I like to catch the things that sometimes get overlooked in just a regular weekly cleaning. Since cleaning isn’t my favorite things to do, it always helps me to have some great tunes playing in the background! This time of year, I’ll be listening to Christmas music for sure! I also like to set an egg timer before beginning a room – it’s like playing “beat the clock” to get the room done before the buzzer! 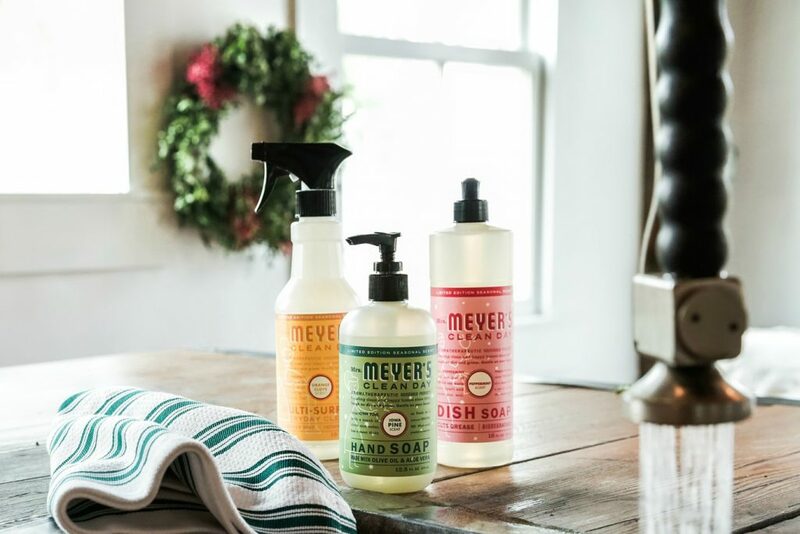 Another thing that motivates me to have a clean home for the holidays are the Mrs. Meyer’s Clean Day seasonal scents: Orange Clove, Iowa Pine and Peppermint. 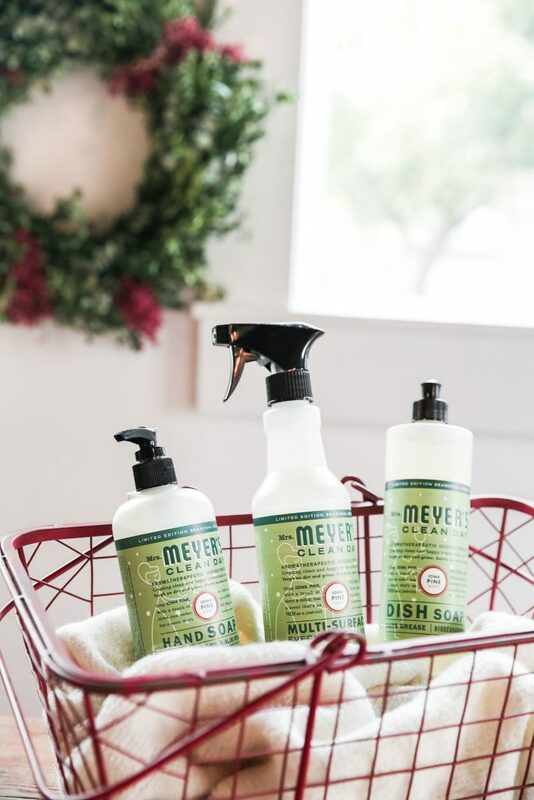 They are stand alone amazing cleaners, but make your home smell like Christmas every time you use them! My favorite is the multi-surface spray cleaner. I use it to clean my cabinet doors, countertops, and even my floors. 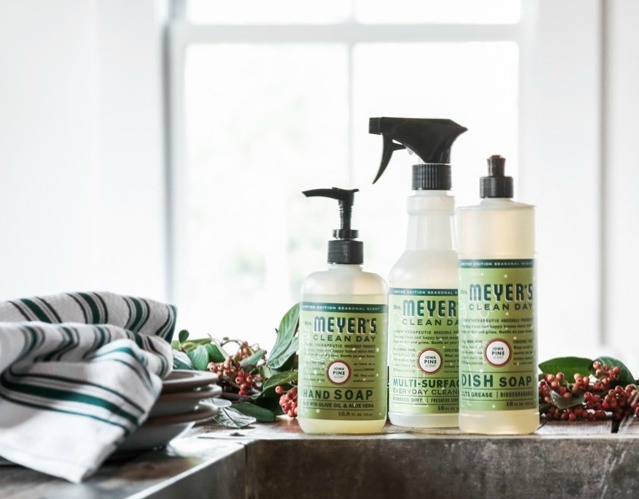 I purchased the hand soap, dish soap, and multi-surface spray in all three holiday scents from Grove Collaborative this year because each one smells amazing! If you are an existing Grove customer, you can get a free set of walnut kitchen scrubbers. I’ve been a Grove Collaborative customer for over a year and absolutely love their service. Basically, you get what you want, when you want it, delivered straight to your door! You set up a delivery schedule that works for your household and order the products that you need. Grove always sends a reminder a few weeks before your next shipment so you can make sure your cart is updated. And, if for some reason you don’t need anything, you can always delay the shipment. It’s super easy and convenient! If you want to learn more about Grove, click HERE. 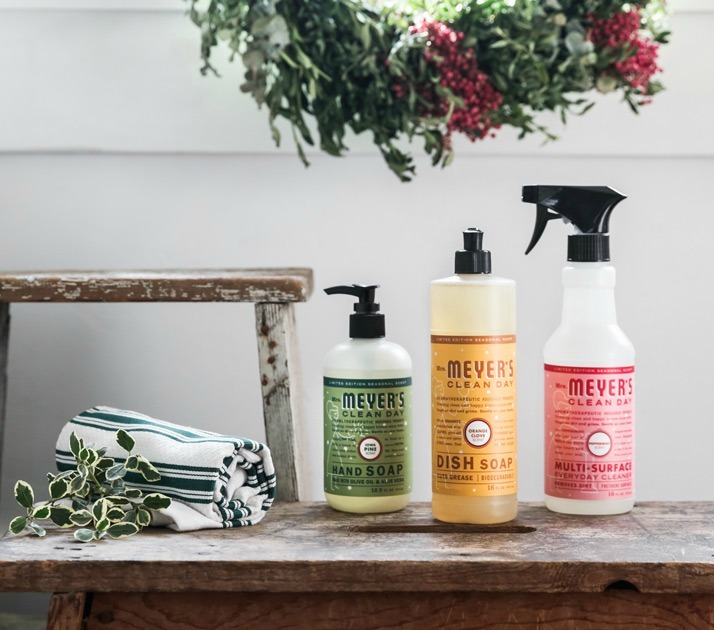 To become a Grove customer and get your FREE Mrs. Myer’s Holiday Scents and Kitchen Towel – click HERE. Existing Grove Customers – Click HERE. Thank you for always providing us with such specials! Nice post, loved reading it, also curious bout those products! Will search more about them!